I am happy to announce that I have written an eBook which is now for sale at Amazon! 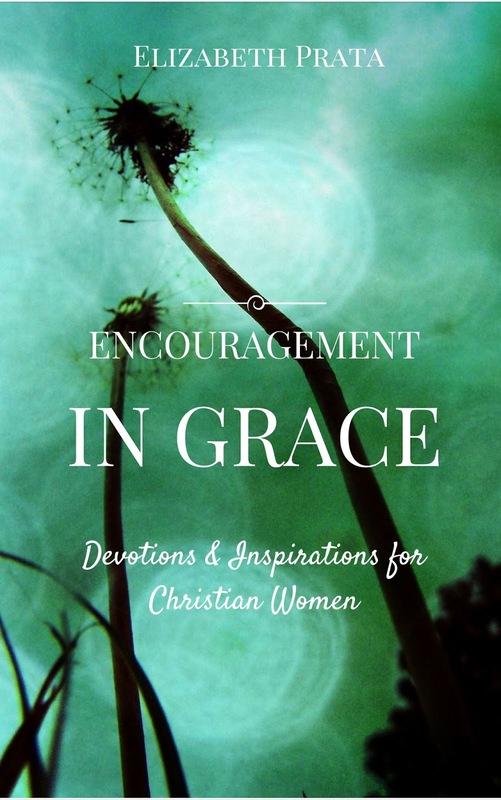 It’s titled “Encouragement In Grace: Devotions &amp; Inspirations for Christian Women” by Elizabeth Prata. The book is the first in a series of three I’ve written. The second two, Prophecy In Grace and Discernment In Grace will be published later. Jesus saved me, in grace. His grace is sufficient, His grace sustains me, and it’s His grace that is so amazing. So I named the series In Grace as a tribute to Him who is grace personified. I pray the essays in the eBook shine His glory back onto Him.